Nash Inventions: works by Turnage, Birtwistle, MacMillan, Goehr, and Colin Matthews. Nash Ensemble, 12 March 2008. Gluck: Iphigénie en Tauride. Komische Oper, Berlin, Paul Goodwin/Barrie Kosky, 21 March 2008. Works by Bach, Schoenberg, Berg, and Webern. Scharoun Ensemble/Pierre Boulez, 18 April 2008. Works for piano duet/duo: Schubert, Schumann, Beethoven, Stravinsky, and Debussy. Richard Goode and Jonathan Biss, 31 May 2008. Alfred Brendel’s final London piano recital: works by Haydn, Mozart, Beethoven, and Schubert, 27 June 2008. Henze: The Bassarids. Munich Opera Festival, Marc Albrecht/Christof Loy, 19 July 2008. Songs by Schubert, Britten, and Strauss. Jonas Kaufmann, Helmut Deutsch, 22 July 2008. Strauss: Ariadne auf Naxos. Munich Opera Festival, Kent Nagano/Robert Carsen, 24 July 2008. Wagner: Parsifal. Bayreuth Festival, Daniele Gatti/Stefan Herheim, 6 August 2008. Works by Messiaen, Harvey, and Varèse. BBC Scottish Symphony Orchestra, Ilan Volkov, 19 August 2008. Szymanowski: King Roger. Mariinsky Opera, Valery Gergiev/Mariusz Treliński, 27 August 2008. This was the best Fidelio I have seen in the theatre. By far the best performance I have heard in the flesh was a concert performance with the London Symphony Orchestra under Sir Colin Davis, but the others, all in the opera house, were all let down by a variety of factors, not least by, though not restricted to, their conductors. Certain musicians notwithstanding, ours does not seem to be an age that responds well to Beethoven. I am, then, delighted to report that this new Paris production, whilst far from perfect, was much better than reports had led me to expect. For one thing – and, when it comes to Beethoven this is a very big thing indeed – the orchestra was on excellent from. It had weight, so often lacking nowadays in this music; it had rhythmic security; nor was it without human tenderness. Sylvain Cambreling, the unofficial house conductor, presented a controversial version of the score. Opening with the least-known Leonore overture, no.1, he proceeded to restore an earlier plan, whereby Beethoven proceeded from aria, to duet, to trio, to quartet, stressing an underlying original tonality of C major. There seems to be something of a fashion for tampering with Fidelio at the moment; the Hungarian State Opera did so earlier this season. I was not ultimately persuaded by Cambreling’s decisions but at least they had some rationale behind them. And how many opportunities is one likely to have to hear Leonore I in the theatre? At least we were spared the dramatic nonsense, again perpetrated in Budapest, of Leonore III during the second act. (And yes, I am well aware of the illustrious roll-call of conductors who once followed this practice. Yet what Mahler or Furtwängler might have been able to get away with is best disregarded by mere mortals.) Moreover, whilst there were certain tempi decisions with which I might have disagreed, for instance an excessively fast, even carefree first act March, Cambreling spared us the indignities of metronomic ‘authenticity’. There was even the odd occasion when I thought him a little slow. It was welcome to hear ‘O namenlose Freude!’ as something other than the typical unmusical rush, but starting at the speed it did, it should have gathered momentum at some point. As I said above, Colin Davis remains hors concours from my otherwise disappointing live experience of the work. Yet Cambreling’s reading was vastly superior to the dullness of Richard Hickox (English National Opera), to Antonio Pappano (Royal Opera), less out of his depth than failing even to enter the Beethovenian shallows, or to the straightforwardly inappropriate veering towards Rossini (!) of Ádám Fischer (Budapest). The great recorded legacy remains, of course, another matter entirely. There was another controversial aspect to the version of Fidelio presented. Gérard Mortier, in honour of whose sixty-fifth birthday the first performance of this production was mounted, had decided that the spoken dialogue was nowadays of dubious theatrical value. Alternative dialogue was therefore commissioned from Martin Mosebach. I am not at all sure that there is anything especially wrong with what we usually hear – for one thing, its familiarity has made it part of our expectation of ‘the work’ – but I was quite sure that this was no improvement. Some of it was perfectly acceptable, although even then I could not quite understand why it should be preferred. However, it made for a considerably longer evening than otherwise might have been, not least given the typical inability – this goes for every performance of Fidelio I have attended, bar that in English – of the non-Germans in the cast to speak the language with credibility. One can generally hear every word, partly because it is spoken at half-speed. Some of the new text was also rather peculiar. At the beginning, we hard Marzelline ponder at some length over what sort of man she would prefer. Having considered the hairier option, she proceeded to wonder about a man who was more like a woman. The difficulty of accepting Leonore’s disguise as Fidelio may detain literal-minded souls, but I am not sure that broaching a ‘bi-curious’ interpretation of Marzelline would have assisted them. The production was in general convincing. It was not unforgettable, but nor was it married to an irrelevant concept or concepts. (I think here of Balázs Kovalik’s production in Budapest, where all sorts of odd ideas did battle against one other.) The surveillance cameras in a sinister control room during the first act pointed to a terrifying feature of our own society. Florestan was always being watched, just as we are. And what went on around? People attended to their ‘daily lives’ – for such, of course, is the dramatic material of the first half of the first act – some of them doubtless quite sure that, in their accustomed Daily Mail-speak, they had ‘nothing to hide’. How many days’ detention without trial would New Labour have inflicted upon Florestan? Ask Pizarro. Of course, Johan Simons is unlikely to have had specifically British references in mind, but the point is increasingly general in Western societies; it is just rather more advanced in my own. There was a contrasting timelessness to the dungeon scene. Whilst there is, of course, a place for specific references and we can hardly fail to think of Guantánamo, it is worth reminding ourselves that such obscenities can happen at any time, in any place. The willingness of human beings to torture has been reaffirmed through scientific experiment; it is part of the role of culture, of works such as Fidelio, to make us rise above such barbarism. In the title role, Angela Denoke sometimes struggled vocally. There were moments when her voice was simply not strong enough, although not so many as I had expected from other reports. However, she responded readily to the text – both spoken and sung – and brought her considerable skills as a singing actress to the role. Whilst this was not a performance I should wish simply to hear on a recording, I was often gripped by it on stage. Alan Held oozed malevolence as Don Pizarro, though I thought his hysterical laughter overdone and strangely camp: more Rocky than Rocco Horror. Kurt Rydl was a late substitute for Franz-Josef Selig as the jailkeeper. He acted splendidly: quite an achievement, when he could hardly have had close acquaintance with the production. However, he exhibited considerable wobble. I also found it dramatically odd to have so much blacker a voice in this role than for Pizarro. (Admittedly, that is not a problem confined to this production.) Julia Kleiter and Ales Briscein were lively and attentive as Marzelline and Jaquino, whilst Paul Gay impressed as Don Fernando. But the undoubted star of the show was Jonas Kaufmann. I cannot imagine that there has ever been a better Florestan. He exhibited a heroism to rival that of Jon Vickers, albeit without the vocal oddness. Kaufmann displayed an an astonishing range, not only of dynamics, but also of timbre. The crescendo upon his first note, delivered head down to the floor, starting off mezza voce and leading up to a radiant, ringing, yet never crude fortissimo, was something I suspect I shall never experience again – unless, of course, it comes from him. He managed to sound utterly credible both as a starved, tortured prisoner and as a virile incarnation of freedom. Moreover, his acting was on an equally exalted level, marrying perfectly with the vocal portrayal. 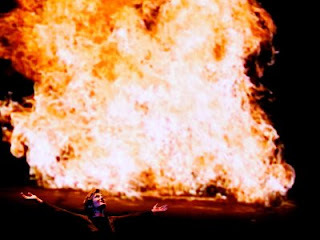 This Fidelio, even had it lacked other virtues, would have been justified by Jonas Kaufmann alone. Swiss composer Richard Dubugnon’s new work was commissioned by Musique Nouvelle en Liberté and the city of Paris. It is dedicated to Janine Jansen and Esa-Pekka Salonen, who gave its world premiere at the Salle Pleyel. In his programme note, Dubugnon said that he had tried to reconcile the form and duration of the Romantic concerto with images, sounds, and colours from today, including some rhythms and harmonies taken from popular music: new wine into old bottles. The problem I had with much of this lengthy three-movement concerto – about three-quarters of an hour in total – concerned the wine itself. Frankly tonal, its harmonies were not only of the twentieth century, but of its earliest years. Various composers came to mind, including, in relatively conventional voice, Debussy, Bartók, and Scriabin, and, more interestingly in the slow movement, early Messiaen, but seemingly lacking an individual, let alone contemporary voice. As for the popular influences – ‘house’ and ‘funk’, according to the composer – these did not seem to go beyond odd rhythms, often repeated or recurring, rhythms which might equally well have had their origins in early or even ‘symphonic’ jazz. A few passages sounded as if they might have strayed in from a ‘Hooked on Classics’ sequence. The overall form was admirably clear; the old bottle did not leak. Nor, I think, would it have done, even if we had languished without Dubugnon’s comprehensive programme note. This is clearly a composer who can orchestrate, in an almost classically ‘French’ fashion, although Debussy or Ravel would never have relied so much upon stock combinatory effects. There was perhaps greater individuality in some of the writing for tuned percussion, although little that progressed so far as, still less beyond, Messiaen. Salonen kept a tight grip upon proceedings and Jansen displayed great virtuosity and sensitivity. As a vehicle for her talents, the concerto worked well enough, some of the solo writing perhaps echoing that of Prokofiev, but I could not help thinking that there might have been better ways to show off her technique. One thing this definitely goes to show, however, is what nonsense are the malcontent attempts one sometimes hears to portray Pierre Boulez as some kind of dictator of French musical life. I think I can safely say that Boulez would never have been interested in such a work; its co-commissioning by the city of Paris itself signals a thoroughgoing musical pluralism. It is not clear to me why Mahler’s Das klagende Lied was thought an appropriate companion-piece, or vice versa for that matter. For those who might have responded with greater enthusiasm to the violin concerto, it is difficult to imagine that they would have made many connections with Mahler’s first principal completed work, steeped in German Romanticism, yet also looking forward to his later symphonies, especially the First and Second, and even to Schoenberg’s Gurrelieder. Never mind; it was a relatively rare opportunity to hear Das klagende Lied, here given in its original, 1880 version, as submitted for the 1881 Beethoven Prize. There were good things to the performance, yet, as a whole, I did not feel that it quite came together, almost as if this were a rehearsal rather than the ‘real thing’. Barring a few too many lapses of ensemble, especially in some of the offstage music, the Orchestre de Paris played well enough. I did not find the orchestra’s sound especially Mahlerian; the strings and indeed many of the other instruments came across a little too brightly for that. Nor was there especial depth to the bass, although this may have been at least partly a result of the Salle Pleyel’s notoriously difficult acoustic. There were, however, some splendid orchestral moments, not least the ominous kettledrum role at the very opening of Waldmärchen and the solos of leader, Philippe Aïche. The rumbustiousness of the public scenes in the final Hochzeitsstück was ably conveyed too; Tannhäuser’s arrival of the guests and indeed Hagen’s call to the Gibichungs were not so very distant. Salonen guided the work’s progress with considerable care for clarity in the orchestral textures, yet I was rarely gripped by an inexorable narrative as I had hoped to be. Lengthy pauses between movements did not help in that regard, yet even those three movements themselves came across as a little diffuse at times. The soloists, impressive on paper, proved a mixed bunch in practice. Melanie Diener has an attractive voice but the quality of her diction varied enormously. Jon Villars came in and out of focus with disturbing frequency; there were some splendid Heldentenor-ish passages, whilst others sounded tentative and muffled. Sergei Leiferkus’s best days would, on this evidence, appear very much to be behind him. But Lilli Passikivi impressed as a true contralto, especially in her eery, Erda-like passages from Waldmärchen. Whilst far from flawless, the two boy soloists from the Tölz Boys’ Choir – anonymous, but this tends to be the practice – exhibited most movingly the extraordinary treble tone we know and love. That ghostly quality which Mahler demands for the murdered knight’s accusation was thereby chillingly conveyed. The choral singing was varied too, again moving in and out of focus, although this was less of a problem in the Götterdämmerung-like passages from the Hochzeitsstück. Again, I wonder how much of that resulted from the acoustic. I also wonder whether a second performance the following evening might have melded the parts into a more satisfying whole. I held high expectations for this concert. Perhaps they were too high, for they were only intermittently fulfilled. That said, the Mahler Adagio received a very good performance. There is a place to hear it by itself, every now and again, even if I think that happens far too often. At any rate, this was not an inappropriate occasion, especially given Vladimir Jurowski’s efforts to underline the kinship with Tristan und Isolde. (Valery Gergiev’s placing it before Mahler’s Ninth made far less sense, even if we leave on one side the unsatisfactory nature of the performances themselves.) Though a little concerned about the fastish opening tempo, I soon became accustomed to it and, in any case, Jurowski’s reading proved anything but rigid. Much nonsense is written about division of violins to the right and left of the conductor. It is a practice of which I approve, yet it is not mandatory, as one would think from the writing of some zealots, for whom commentary appears to be a matter of a performance conforming to their own derivative checklists. What matters is what advantage is taken of such antiphonal placing – or, indeed, on certain occasions, what advantage is taken of alternatives. Here, Jurowski ensured that the adopted seating contributed to that contrapuntal intensity that was in any case a hallmark of the performance. The texture was appropriately string-saturated, though certainly not to the exclusion of other parts, such as the meltingly Romantic horns. Violin vibrato was marvellously expressive: thank goodness no one had listened to the bizarre claims of Roger Norrington. And the violas showed that their part was every bit as important, providing us with reminiscences of and connections with Parsifal and indeed Tristan. There was always an apt lilt to the music’s progress and we heard an equally apt aspirant limping to the ’cellos’ pizzicato. Despite the odd imperfection in the visionary section leading up to the great discord, there was – unlike, say in Gergiev’s reading – a real sense that the music and its progress meant something, whether or no that could be put into words. If a more Romantic, less expressionistic, account than we often hear, there is nothing wrong with that, especially when one is about to hear part of Tristan. This is music in a rare tonality, that of F-sharp major, not quite the air of another planet. And the ending was beautifully rapt; here, Jurowski knew to take his time and the LPO strings knew how to shine. The second act of Tristan opened like a continuation; indeed, if anything, it sounded a little more expressionistic, the Prelude exhibiting a febrile, expectant intensity. Indeed, throughout the act, there would be a great intensity to the orchestral playing, especially to the inner parts already foretold in Mahler’s viola writing. The dialogue between the off-stage horns – off-stage to left and right – was nicely handled. On stage, the horns sounded as close as I can recall hearing to one of Wagner’s favourite indications: sehr weich. I found the lower strings less impressive in general; they did not always sound so focussed as the violins and violas, and there was an occasional thinness to their sound. Jurowski generally handled the vast structure surely, although a few gear-changes would have benefited from greater instruction in Wagner’s fabled ‘art of transition’. He ensured nevertheless that the love duet seemed, if anything, shorter than one might have expected. And the terrible moment of coitus interruptus sounded as an interesting counterpart to the cataclysmic discord of the Mahler, not so glaring but perhaps all the more terrifying: certainly more terrifying than any I have heard for a while. Jurowski seemed to be itching to conduct the score in the theatre, which he will do at Glyndebourne next summer. A concert performance seemed a bit too much of a compromise, a ‘trial run’, an impression underlined by the inconsistent use of scores by the soloists: the women used them but the men did not. And it was with the soloists that the real drawbacks of this performance lay. Sarah Connolly was probably the best of the bunch. As Brangäne, she displayed – the vocal score notwithstanding – an attentive thoughtful response to the music and to the words. One could readily dispense with the titles, so clear was her diction. László Polgár was suffering from a cold and sadly, it showed. To begin with, he sounded – quite promisingly – as if he had stepped straight out of Bluebeard’s Castle, but the condition of his voice soon deteriorated. The sympathy one felt was not inappropriate in terms of Marke’s character, but even so, the dryness of tone and increasingly wayward tuning were something of a trial. I was a little surprised at the intonation difficulties Robert Dean Smith has as Tristan, especially during his response to the king’s monologue. Yet on the whole, his was a reasonably sound, if hardly exciting performance. It did not help that he sounded rather ‘old’ throughout. Intonation was also a problem with Anja Kampe’s Isolde. I also felt that her voice was simply not right for the part; it sounded far too mezzo-like in quality. She acted with her facial expressions during Marke’s monologue; perhaps she too needs the theatre for her interpretation really to live. That said, the theatre can be no cure for what were on occasion alarming deficiencies in tuning. I can understand why Stephen Gadd was asked to be Melot and Kurwenal; it was confusing nevertheless. This act of Tristan should clearly be considered work in progress for Jurowski. I certainly never had the feeling – as I always have, say, with Antonio Pappano’s Wagner – that the music would remain beyond him; far from it. One has to start somewhere and there was a great deal to commend his handling of the orchestra. Furtwänglerian Fernhören may develop with experience. Yet I hope that Jurowski and the LPO will be blessed with better soloists at Glyndebourne, for the Prelude and the shattering orchestral postlude were the best parts of this performance. There is an interesting assortment of recommendations here, from various Wagner scholars, performers, directors, enthusiasts, etc. (including yours truly). The many contributors include Barry Millington, Hans Jürgen Syberberg, and Dame Anne Evans. I am sure that no one will agree with any particular set of recommendations - I should be astonished if anyone agreed with mine - but a merit of such surveys is to inform or to remind one of other possibilities. The rest of this excellent site is well worth exploring. Following the previous night’s Messiaen celebrations – in practice, at least as much a celebration of Boulez – the Ensemble Intercontemporain, its founder, and Pierre-Laurent Aimard moved on to Elliott Carter, for his hundred birthday. The astounding difference, or one of them, is of course that Carter is still with us – and still composing: unprecedented for one entering his eleventh decade. Prior to the opening work, we saw a recorded interview with him, in which he was still very much the Carter of old, buoyed with enthusiasm for his most recent projects, including a clarinet quintet for Charles Neidich and the Juillard Quartet, and a flute concerto for Emmanuel Pahud. Carter poignantly expressed the hope that he might hear the latter, none of its first performances having taken place in America. Europe, he explained, has always been more receptive to his music, not least since broadcasting is not here – perhaps one should add, not solely – based upon the needs of advertising. If it is true, as Carter claimed, that he has more ‘friends’ in Europe than in his own land, we should consider that to be an honour. On the other hand, we should also consider how, in the words of Daniel Barenboim in one of several programme tributes, Carter ‘combines America with Europe’. This concert made a very good start. Dialogues, a concertante piece for piano and ensemble, provided a glittering opening. Rather to my surprise, and despite Aimard’s predictably fine performance, I found much of the orchestral writing more compelling than the piano part – although perhaps this will change with greater acquaintance. As ever with Carter, there was an abundant sense of life, of joy. Poised midway between chamber and orchestral music, a work such as this is the lifeblood of the Ensemble Intercontemporain, whose performance could hardly be faulted. With Matribute – ‘ma tribute’ – a short piece written for James Levine, to honour Levine’s mother, we reached the solo piano selection. I was taken with the contrast between melodic development, rising up through the keyboard’s octaves, and that characteristic Carter kinetic energy, both influencing each other and yet never quite merging. Intermittences and Caténaires were given what was described as the United Kingdom premiere of their joint existence as Two Thoughts about the Piano. If this were stretching a point somewhat, there was no need, since such fine piano writing needs no pretext for performance. It was, in any case, my first hearing of either piece. Aimard once again proved a spellbinding guide, though the silences (intermittences, as in Proust) and eruptions of the first piece. His fingers and feet – for here, pedalling is crucial, not least with regard to the middle pedal – were wholly at the service of the music and as communicative to the audience as one could imagine. The different ‘characters’ – always a key feature of Carter’s writing – were vividly portrayed, as was the more single-character nature of Caténaires. Its toccata-like single line spun if anything an even more gripping narrative, almost miraculously transforming the chordal instrument into a giant violin – solo Bach sprang to my mind – all the more to impress us with the variety of colours a single line can produce. The Clarinet Concerto received an equally commanding interpretation. Commissioned by Boulez and the Ensemble Intercontemporain, and written with Alain Damiens in mind – he and they premiered the work in 1997 – one could hardly have wished for a more authoritative or, again, vivacious performance. The five sections of the orchestra each had their opportunities to shine, to interact, to project their ‘character’ or ‘characters’, and they took them. Damiens and Boulez not only held the work together – Damiens literally moving around the stage, to interact with each group – but appeared to engage in a dialogue of their own, reminding us that this is a concerto, with considerable ambiguity concerning the relationship between blend and battle when it comes to the soloist and other players. Once again, there was energetic game-playing aplenty, but there were also oases of calm, the harmonies of the string-based Largo section quite ravishing, and unerringly placed in terms of the dramatic game-plan. Where the previous evening, Boulez had presented his sur Incises, here we had the revision, completed in 2006, of Dérive II. The work was now double the length of the previous time I had heard it. In many ways, it seems Janus-faced, connecting back to the SACHER-inspired works of the 1970s and 1980s, whilst also showcasing much of his more recent harmonic and structural development. As ever, the overwhelming sensation is of proliferation, in every aspect of the music. It was also striking how every instrument in the ensemble – eleven instrumentalists: woodwind, strings, and tuned percussion, including piano – was given ample opportunity to shine; it would be invidious to single out any one in particular, though I must mention the echoes of the Rite of Spring in the bassoon writing. One aspect that somewhat surprised me was how frankly thematic much of Boulez’s writing proved to be. In this, the expert performance of the EIC, under his direction, contributed a great deal. The oft-elusive ability to find an ending, most definitely achieved in sur Incises, was again displayed here: rhythmically exciting in the lead-up to its final, unanswerable unison. And so, the Southbank Centre’s festival, From the canyons to the stars: the music of Oliver Messiaen, directed by Pierre-Laurent Aimard, came to an end on Messiaen’s hundredth birthday. Aimard, typically self-effacing, and on typically spectacular form, played in only one of the three works performed. He ceded the stage to the greatest of Messiaen’s many pupils, Pierre Boulez, not only as conductor of the Ensemble Intercontemporain, but also as composer of sur Incises. There was added historical weight to Boulez’s presence in that he had conducted the first performances of both Messiaen works: Couleurs de la cite céleste at Donaueschingen in 1964 and Sept Haïkaï as part of the legendary Domaine Musical concert series – precursor in a sense to the permanently-established EIC – two years earlier. To Boulez as conductor we must therefore, in the case of the latter work, add Boulez as commissioner. For Couleurs de la cite céleste, Aimard ceded his place as pianist to Sébastien Vichard, a member of the EIC. Vichard was more than adequate to the task; it was only when Aimard played for Sept Haïkaï that it became truly apparent what a musician so utterly steeped in Messiaen’s music might have added. There remained much to savour, however, despite the occasional – and most surprising – slightly ragged moment from the woodwind. The ensemble sounded more ‘French’ in timbre than I had expected, harking back, whether through chance or design, to the sounds Messiaen might have heard in Parisian concert-life. A typically Messiaenesque polarity was set up and implacably maintained between the unbending ritualism of his alleluias and the freedom of birdsong. In between, trombone and bells sounded the apocalypse in splendidly sonorous fashion. Vichard shone as his piano sang in unison with the bells, imparting a true sense of awe. The Brucknerian silences – and gong-echoes – of the conclusion were given their full worth by Boulez, mindful perhaps of his more recent success in conducting the music of another deeply pious and in some senses untimely composer. Sept Haïkaï is, I think, a tougher proposition for the listener, at least for the Western listener. Not only is there a good dose of late-‘Darmstadt’ – actually, as mentioned above, Donaueschingen – aggression; there is none of the Catholic mooring that often helps us to find our bearings in Messiaen. Here instead the religious aspect relates to the Buddhist and Shinto temples of Japan and birdsong plays a still greater, parallel role than in the first work. Yet there is the same polarity between freedom and ritual, which once again Boulez brought to the fore. The eruption of birdsong in the third movement, Yamanaka – cadenza, gave the impression of an ultimately irrepressible force finally bursting forth. Aimard’s solo cadenzas transformed notes into music, leaving this listener utterly spellbound. In the Gagaku, as Peter Hill explained in a characteristically excellent programme note, Messiaen imitated the timbres of traditional Japanese instruments such as the reedy hichiriki – which Messiaen himself described as 'extremely disagreeable and at the same time expressive' (!) – and the shô, a form of mouth organ. Messiaen’s description seemed to be followed to the letter by the combination of two oboes and English horn; nor did I care for the string harmonies, played sul ponticello and non vibrato. Still, that is what Messiaen wrote – and that is what we heard. Far more to my taste was the range of sonorities Aimard employed and the staggering virtuosity he unleashed in the sixth movement, Les Oiseaux de Karuizawa. Boulez’s command was almost unnervingly displayed in the strange deceleration with which that movement closes. (According to Hill, Messiaen’s notebook describes the Ô-yoshikiri bird’s song as resembling the acceleration and deceleration of an engine.) In the coda, there was a palpable sense of return to the guardian gods of the first-movement introduction, of coming full circle. And then both music and performance straightforwardly stopped. Impressive though the Messiaen pieces in the first half were, sur Incises is the considerably greater work, indeed a masterpiece, receiving a performance to match. It is now more than eight years since I first heard sur Incises, in a performance conducted by Pierre-André Valade, with the London Sinfonietta, on Boulez’s seventy-fifth birthday. Good though that had been, this performance, under the non-baton of the composer himself, seemed to me definitive. The musicians of the EIC – three pianists, three harpists, and three percussionists – had the music under their skins and could therefore interpret it as part of the repertoire, rather than merely presenting it as new music: always a stated aim of Boulez’s music-making. There is, in the instrumentation, of course, the odd echo of Les Noces, but in reality Boulez’s strategy is quite different. The spatial element, here superbly realised, and assisted by the much-improved acoustic of the Royal Festival Hall, allows one to hear solo lines but also different groups: three groups, considered vertically, each of percussion, harp, and piano, and, considered horizontally, the three percussionists, the three harpists, and the three pianists. One of the most startling aspects of the latter formations is to hear passages transferring spatially across, say, the three pianos, whilst remaining in a sense part of the one giant piano – Incises, the original work, is for piano solo – played by the composer-conductor. Another striking aspect is the often Romantic tinge to the piano writing; I even fancied that I heard the influence of Chopin. It is also as if Boulez is playing with a musical magical square, albeit in a rather different sense from Webern’s, the three rows and columns constantly shifting, and yet somehow always adding up to the whole. For in a host of different ways, it is the sonorities that beguile; indeed, I do not think that any composer has secured, nor any conductor elicited, such beguiling sonorities. There are harmonies of Debussyan sumptuousness, but there is also a kinetic, rhythmic energy that brings to mind Stravinsky and Bartók to mind. The ghost of Bartók seems especially present in some of the piano writing, which then proves contagious for the other instrumentalists. Such progressions are the stuff of this music, another being that of reflection, for instance in the ruminative cadenza-like passages for piano, bringing forth life, and vice versa. The serial principle, so powerfully realised in this performance, is anything but constricting; it is rather a principle of an ever expanding universe, forever sparking off some further musical reaction. Moreover, this performance reminded one of Boulez’s infinite compositional flexibility, putting him, despite the context of this context, rather closer to Debussy than to Messiaen. Despite the sense – and, I suspect, for many, the desire – that this universe could have gone on expanding, its materials proliferating, forever, the very real, magical conclusion proved quite a contrast from the abrupt, if perfectly timely curtailment of the Sept Haïkaï. There could be no doubt that this was Boulez’s night, as was underlined by the surprisingly – at least to me – ecstatic reaction he received from the audience. I ought, like Messiaen, to have had greater faith. This is the Royal Opera’s first production of Hänsel und Gretel since 1937: most surprising, given the halo that tends to accompany Humperdinck’s Märchenoper. I had a few niggling, even curmudgeonly doubts during the first act, especially when it came to the passages that sound not so much influenced by Wagner as plagiarised from his works, especially Die Meistersinger. However, as time went on I was much more convinced – and that, I think, should be credited to so excellent a performance. I can imagine some taking against Sir Colin Davis’s reading of the score but for me this was a very great advantage. He luxuriates in its Wagnerisms; for, although Wagner is not the first composer one thinks of in terms of this conductor, he has had considerable experience, both at the Royal Opera and at Bayreuth. The conclusion to the second act gave a sense of being subsumed, Parsifal-like into heavenly revelation, albeit without any of those troubling doubts one always entertains concerning who or what is being redeemed. With this Hänsel, we had a case of magical dreams, pure and simple. The following morning, as Gretel awoke, there was a nice sense – not overdone, but certainly there – of a miniature Brünnhilde’s awakening. It is all there in the score, of course, lest this sound like superimposition. Many conductors might have taken the music a little more quickly but Davis did not need to do so. Details were made to count, yet always in the context of a sure, loving narrative flow and an unimpeachable command of structure. And, as ever, the members of the Orchestra of the Royal Opera House played their hearts out for Davis. Especially lovable were the rapt strings and the almost unbearably beautiful horns: this could have been another orchestra with which Davis has a longstanding relationship, the venerable Staatskapelle Dresden. There was not a weak link in the cast. 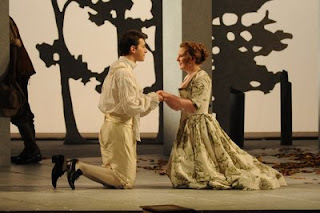 Angelika Kirchschlager is a truly wonderful boy Hänsel, as utterly credible as when she plays Octavian. Her every movement betokened a great affinity with the part; vocally, she was every bit as good. I did not think that Diana Damrau, probably the greatest Zerbinetta I have heard, made quite so convincing a girl, but musically I should have little but praise for her. Elizabeth Connell sounded gorgeous in the maternal role of Gertrud, although her diction was not always so clear as that of the rest of the cast. It becomes almost wearisome to say this upon his every appearance, but Thomas Allen yet again proved what a consummate musician and musical actor he is, as Peter. Jette Parker Young Artists Pumeza Matshikiza and Anita Watson both gave excellent performances in the lovable roles of the Sandman and the Dew Fairy respectively, cushioned and seemingly inspired by Davis and the orchestra. And then there was Anja Silja as the Witch. Age has certainly not dimmed her lustre; she remains a truly formidable vocal actress, with no need to ham up the part, presenting a truly nasty old woman of a sort children might actually meet and fear. In this, Silja was assisted by the production. Moshe Leiser and Patrice Caurier provided her with a Zimmer frame (which she did not need: we have all met such fraudulent recipients...) and a modern but slightly deranged appearance. This was a credible character, just as Hänsel was a credible boy. Not only had great attention gone into the Personenregie; it worked. There was a true sense of magic when the angels appeared and the children dreamed of Christmas, whilst the industrial ovens of the witch’s house brought a real danger to proceedings. The sets were uncontroversial without cloying – although I did think the space, if not the decor, for the house in the first act looked suspiciously like that for the directors’ Barber of Seville a few years ago. To have the forest, so crucial to the tales of the Brothers Grimm, visibly surrounding every scene was a welcome touch, although more might perhaps have been made of its menace. There was a veritable coup de théâtre in the explosion that followed the trapping of the witch – and the subsequent liberation of the biscuit-children, who sang their song rather well. It is a difficult balancing act, to present something that would work both for children and for adults, but I think that this production and this performance managed to do so. This was both an excellent performance and an excellent showcase for the work of the Royal College of Music’s Benjamin Britten International Opera School. Every bit as importantly, it reminded or informed us just how fine a work La finta giardiniera is. In many respects it as crucial a work in Mozart’s operatic development as Idomeneo, not the fully-fledged masterpiece that the latter – a greater work when written than any opera since Monteverdi, leaving even the Gluck of Iphigénie en Tauride standing – is, yet nevertheless a great leap forward. There is nothing generic here about Mozart’s musical language; although only eighteen years old at the time of composition, this is indubitably the composer of the later Salzburg years, perhaps more familiar to many listeners from contemporary sacred and symphonic works, not least the ‘little’ G minor symphony, KV 183. Most crucially, we now encounter a musical dramatist with extraordinary powers of characterisation. We may not be talking about Figaro here, but Mozart’s operatic characterisation already surpasses that of Handel or Haydn. It is perhaps no coincidence that La finta giardiniera is an opera buffa, only Mozart’s second comedy. The problematical form of opera seria was not yet dead – indeed, it would continue into the nineteenth century – but Mozart’s genius and indeed the imperatives of the Classical style were not truly of that world. La clemenza di Tito would be Mozart’s sole mature contribution to the form, in sharp distinction to the practice of his earlier years, and even Tito would benefit from a considerable infusion of buffo musical practice. 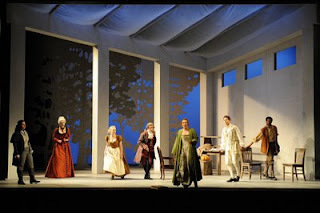 Tellingly, in La finta giardiniera, social distinctions and to some extent social conflict are sharply in evidence, a mark of Mozart’s increasing skills of characterisation and a clear stepping-stone towards Figaro and Don Giovanni. This work needs no excuses but evidently it still requires advocacy. The Royal Opera, when recently staging it for the first time, condescendingly abandoned it to period instruments; the RCM knew better. I feared a little when hearing the overture. Many modern performances of Classical operas seem a little unsure when handling purely orchestral music, accentuating irritating, allegedly ‘period’ characteristics. Here, the phrasing could certainly have been more lovingly handled and the whole could have been more relaxed: no need to be autumnal, but summer would have been fitting. However, Michael Rosewell’s reading soon settled down and if there remained occasions when less haste would have aided the flow, I should not wish to exaggerate. The orchestral playing itself was of a very high standard, allowing the audience to savour Mozart’s increasingly bold writing – never more so than in that extraordinary first-act aria, ‘Dentro il mio petto il sento,’ in which almost every instrument is hymned and in return hymns us, ravishing our senses. The only blemishes here were kettledrums lacking in bloom, trumpets that sounded suspiciously ‘natural’: either they were, or they had been instructed to sound so. In neither case could the players be held responsible. The excellent acoustic of the Britten Theatre assisted in conveying the delights of their performance, rhythmically firm but far from unyielding, but of course it only assisted. Vocally, this score is quite a challenge for any cast, yet the singers of the BBIOS rose to that challenge with considerable credit. The youth of their voices probably assisted in the blend of ensembles, but the arias, not least the more elaborate ones for the noble personages, are full of pitfalls; these were here skilfully navigated and even relished in the act of avoidance. Lorna Bridge was rather cruelly set up for a fall in an interpolated quotation from the Queen of the Night when making made her entrance as Arminda. It might have worked, had she sung in tune. Thereafter, however, she proved herself a fine soprano and a fine actress, secure if dislikeable in her upwardly mobile status as the mayor’s niece, seeking a noble marriage. Anna Huntley did well in the somewhat unexciting castrato role of Arminda’s suitor, Don Ramiro; likewise Tyler Clarke as the mayor, Don Anchise. I was not especially taken with Colette Boushell as the pretended garden girl herself. Her phrasing and diction were impressive – indeed, the same should be said of the entire cast – but there was often an unsteady quality to her voice, save for when singing at forte level or above, which too often she did. I wondered whether hers was really the right voice for the role and whether she was therefore in some sense attempting to compensate. However, Alexander Vearey-Roberts was a true discovery in the role of Belfiore. There was the occasional faltering, but this counted for little in the face of a commanding portrayal. Tender, ardent, and beguiling of tone, he also showed himself a fine actor. Both Boushell and Vearey-Roberts handled the surprisingly plentiful accompanied recitative – appropriate to their true, noble standing – with security and with flair. Sadhbh Dennedy and Peter Braithwaite also excelled in stage and vocal terms as Serpetto and Nardo respectively. Dennedy, who had impressed me last year in The Rake’s Progress, evinced a sure grasp of her serving-girl idiom, harking back to Pergolesi but also looking forward to Susanna. Braithwaite made the most of his role, neither over- nor underplaying its comic potential, exhibiting a fine young baritone in the process. Jean-Claude Auvray’s production ran in a slightly stylised eighteenth-century setting, which is probably the ideal way to perform such a work. It cannot quite be taken at face value but may prove a little too fragile to an unduly radical reinterpretation, at least until it can properly be said to have entered the repertoire. Costumes were of their period, without fetishising, and occasional birdsong gave a sense of the outdoors, without jarring. One trick that was overdone was the emergence of cast members from within the theatre. Sometimes this can work but it needs to be done sparingly, or it becomes, as here, a mannerism – and a pointless one at that. Auvray’s direction of the singers as actors was, however, most impressive. He is clearly a director who knows how to achieve what he wants. Moreover, he has a sense of and respect for the music; what ought to be a sine qua non is often, sadly and infuriatingly, anything but. Auvray’s most signal achievement was to permit the talented cast to explore and to communicate the riches of Mozart’s wonderful score. ‘Austerity’ seems to be the buzz word of the moment, latched onto by reactionary politicians who would have us return to the stifling societal conformity and bigotry of their beloved 1950s, and also, with more justification, by those who would press for a tiny reduction in the money being squandered upon the 2012 Olympic Games. As is well known, the arts are suffering greatly – and will come to suffer still more – in order that ‘state-of-the-art sporting facilities’ might be built and limousines provided for the leading lights of the supposedly amateur ‘Olympic movement’. Whether by accident, design, or – I fear – necessity, austerity appeared to be a guiding principle in the English National Opera’s Boris Godunov. In some senses, this is far from a bad thing. The sparseness of Tobias Hoheisel’s sets – I should probably employ the singular ‘set’ – and the generally minimalist bent of Tim Albery’s production lent an intensity consonant with the travails of Mother Russia lying at the heart of the work. This might have gone a little far when the Innkeeper was forced to wheel on her miniature inn in a little wagon, but even then it did no particular harm. The single chair for the scene with the boyars was more of a problem – ENO used to have a fetish for chairs, so must surely have a few lying around somewhere – in that the Tsar, most implausibly, had to stand, that the elderly Pimen might be seated. Updating to the last days of Imperial Russia worked well, emphasising the brutality of the state and the deadly consequences for the populace. Dostoevsky was almost a palpable presence. ‘Austerity’, or ‘economy’, was less welcome when it came to the choice of the 1869 ‘original’ version. Whatever arguments might be put in favour of it, none has ever convinced me, and this experience did no more than that of the Mariinsky’s relatively recent visit (with an horrendously unconvincing production) to Covent Garden. That it works well enough and we should still consider Boris to be a great opera, had Mussorgsky never revised it, is to me no argument at all for presenting it as here. In its ‘complete’ glory, Boris is, quite simply, the greatest of all Russian operas and is, to my mind, probably the greatest nineteenth-century opera not written by Beethoven or Wagner. To lose the Polish scenes of the third act is bad enough – as much for the loss of the scheming Jesuit, Rangoni, as for Marina – yet to lose the Kromy Forest scene, with the attendant tragedy for the Russian people, is more than a step too far. The issue of Rimskyfication is an entirely separate one – not that one would know it from the writings of some musical journalists – and it is of course quite right that we should generally hear Mussorgsky himself, even though Rimsky-Korsakov’s Coronation Scene adds something quite splendid, which I should love to hear in the theatre. Peter Rose did well enough in the title role. Boris’s descent into madness was convincingly portrayed. Yet ultimately Rose could not mask the unfortunate truth that he had been miscast. This role needs a deeper, more charismatic bass, from which it had certainly benefited last time around at the Coliseum, in the guise of John Tomlinson. John Graham-Hall presented a Shuisky of such insinuating malevolence that I could not help thinking of Peter Mandelson. Brindley Sherratt was an outstanding Pimen, his aged wisdom palpable in every phrase. Jonathan Veira shone in the wonderful role of Varlaam; he simply was the fraudulent mendicant friar. As Grigory, Gregory Turay convinced: one could well imagine him developing the charisma to rival the Tsar, and not only because this Boris so signally lacked that quality. Utopias may prove false but they may be preferable to more of the same.Yvonne Howard and Robert Murray also impressed. The royal children and nurse were little more than adequate. Nevertheless, there were some very strong individual performances – not inappropriate for an ‘austerity’ Boris, but not in themselves enough to provide an entirely satisfying performance. The Wigmore Hall is presenting all of Haydn’s string quartets from Op.20 onwards over its 2008-9 season, a laudable contribution to next year’s bicentenary celebrations. The Hagen Quartet had performed the first three Op.76 quartets the previous evening; here were the last three. These were fine performances indeed, which served to heighten my regret that I had been unable to attend the first concert. The celebrated ‘sunrise’ opening of no.4 was arrestingly caught, at least as much so upon the exposition repeat: quite an achievement, given that everyone would by then know what to expect. Light vibrato – something mysteriously withheld, as in the ‘Representation of Chaos’ –from the three lower parts contrasted with Lukas Hagen’s rapt first violin solo. Thereafter, the music sprang into Haydnesque life. I marvelled anew at the concision of the exposition, indeed of the first movement as a whole, and appreciated once again how this music truly represents a conversation of equals. Haydn’s quartets are so much more than this, but they remain music of supreme civilisation: monuments to the most noble aspirations of the Enlightenment. The life with which the Hagens invested their performance put me in mind of a passage from Furtwängler’s notebooks, ‘I have always devoted a great deal of thought to the word vital. It is a word of intellectuals for intellectuals … Mozart and Beethoven are not vital, but simply beautiful, great, good, what they want to be. What highly praised modern art expresses: Vitalität.’ I am not entirely sure that I agree with Furtwängler, but the important point is that there was no secondary Vitalität here, but the inner life of the music allowed Haydn simply to be and to speak for himself. ‘Imitative’ entries were never merely imitative; they always brought something new and thereby found their place in the work as it developed over time. The purity of tone with which the Adagio opened epitomised the (neo-)Classical ideal, as trumpeted by Johann Joachim Winckelmann, of ‘noble simplicity and calm greatness’. Yet even more important was the sense of ongoing development, edging towards the Schoenbergian ideal of developing variation. The players were flexible, though never lax. Their attention to dynamic distinctions, especially in the lower dynamic range, was most praiseworthy in its expressive consequences. The minuet was fast – it is marked Allegro – but not rushed. Nor was it inflexible, as can often be the case in modern performances of eighteenth-century music; indeed, it evinced a winning swing. The trio, by contrast, was splendidly rustic, almost Bartókian at the extraordinary drone opening. If I had minor reservations, they related to the finale, in which the opening sounded a touch too delicately manicured: Furtwängler’s Vitalität perhaps trumped life. The B-flat minor episode might have benefited from a touch more Sturm und Drang, yet the Hagens’ relative restraint ensured that mere ‘effect’ was not the order of the day. And the precision with which the movement gathered momentum was mesmerising, even if it were bought at the expense of an equally valid wildness. The sixth Op.76 quartet is perhaps the crown of the set, although every work remains of course a jewel. Its first movement was characterised by a well-nigh perfect combination of delicacy and intellectual control. Haydn displayed to us his learning and his wit. So did the performers: both his and theirs. Bach inevitable came to mind, and not only in the final, fugal variation. The second movement brought both warmth of initial tonality and a splendidly exploratory nature to the subsequent tonal plan. Some modulations sounded almost Schubertian in their heart-stopping magic: such tonal daring! The minuet was properly scherzo-like (it is marked Presto), exuding a great sense of fun, not least in the danger and precision of its skipping intervals. This music truly looked forward to Beethoven. The mastery of both composer and performers was once again displayed in the trio’s counterpoint. And with the reprise of the minuet, the wit of slight agogic exaggerations reminded us that the music should not sound quite the same the second time around. The final Allegro spiritoso was just that: an archetypal ‘Haydn finale’. Rhythmic and harmonic momentum were as one. The surprising loud chords of the development section were expertly judged in their voicing. Both composer and performers played with our expectations – and won, hands down. Following a wonderful Proms performance of Tchaikovsky’s greatest ballet score, The Sleeping Beauty, the London Symphony Orchestra and Valery Gergiev have now turned to what is Prokofiev’s greatest ballet, Romeo and Juliet. What a luxury it had been not only to hear The Sleeping Beauty complete, but also for it to have been performed by a great symphony orchestra and a conductor to whom this repertoire is so central. The same could be said of the present performance: characteristic of what Gergiev does best and yet also reminding us of the LSO’s longstanding form in such music, not least under André Previn during the 1970s. The orchestral tone sounded just right from the very opening bars. Rhythms were always pointed so that we could hear that this was music to be danced to. The imaginary curtain rose upon a vividly characterised Romeo, as yet jejune in his feelings for Rosaline. Andrew Marriner’s clarinet solo was, however, so beguilingly set against flawless pizzicato strings that we might almost have believed that the story would turn out differently. Prokofiev’s ever-resourceful, ever-changing orchestration would grant almost every instrument in the orchestra a chance to shine; Rachel Gough certainly grasped this opportunity in her bassoon solo as the street awakened. As the rivalry between Montagues and Capulets came fully into focus, razor-sharp yet never merely brash orchestral motor-rhythms looked forward to the scherzo of the Fifth Symphony, Gergiev’s wide-ranging knowledge of Prokofiev’s œuvre readily apparent. The militarism of the warring families’ clash was terrifyingly portrayed, reminding me of the quasi-futurism of the Third Symphony and even Alexander Mosolov’s The Iron Foundry. Gergiev and his brass players conveyed an apposite sense both of implacability and of hollowness to the descending scales of the ensuing interlude, brass vibrato here and elsewhere sounding impeccably Russian. Juliet’s music, upon her appearance, provided a welcome sense of contrast: playful and tender by turns. That she would soon be something other than a girl was made abundantly clear by a magnificently Romantic ’cello solo (Floris Mjinders, I think), laden with a telling vibrato. The festal arrival of the guests put me in mind of that in Tannhäuser: not a connection I recall having made before. When, in Masks, we heard the return of those magical ‘Romeo chords’, I was struck not only by the silvery, Cinderella-like tone of the violins but also by Gergiev’s command of the thematic interrelationships in this, surely the most Wagnerian of Prokofiev’s scores. The conductor’s command of his orchestra was visibly and audibly apparent when, at the very opening of the balcony scene, the violins responded immediately to his hand gesture for more fulsome vibrato. Indeed, impassioned, soaring violins were crucial in conveying a Romantic ardour in full flow during the final numbers of the first act. I was taken by the contrast during the second act between the lovers’ intimacy and the bustling, uncomprehending social world outside. The Dance of the five couples was suave, sardonic in the melodic and harmonic side-slipping so characteristic of the composer, whilst the choir of horns attending the secret wedding was an object lesson in the art of tenderness. Prokofiev’s originality in scoring was highlighted, albeit without undue exaggeration, in the combination of mandolins and trumpets during the Dance with mandolins. Mercutio’s death emerged as duly haunting, not least on account of such fine playing from bassoon and ’cellos. The parallel death of Tybalt packed an enormous dramatic punch: rhythmically and sonically implacable, indeed almost deafening at its climax. The contrast between the forces of order (the Duke) and convention (Juliet’s father) and the young lovers continued to characterise the third act. We heard the brief, tender domesticity of Romeo and Juliet in soft tones, which yielded as much as the act’s opening music had refused to do so. During the lengthy sequence stretching from Juliet alone in her bedroom to her taking the potion acquired from Friar Laurence, Gergiev showed that, however hapless he might have proved in Mahler, in this, the most symphonic music of the ballet, he need fear no rivals in conveying the symphonic sweep of Prokofiev’s score. The short fourth act, or epilogue, presented a truly tragic and indeed defiant portrayal of the lovers’ death. The brass section rightly bludgeoned our ears, whilst strings and woodwind tugged at our heartstrings, the LSO’s percussion – and, of course, the conductor – mediating between these two related impulses. Gergiev proved himself a master narrator. This should be read as an appendix to my principal review. I was fortunate enough to attend Elektra again and found that a very good performance had become a great one. Each of the singers was at least as good and most were even better, especially Johan Reuter, who sounded almost Wanderer-like upon his mysterious arrival. (We truly heard things through Elektra's ears here.) Susan Bullock was outstanding in the title role. Where, on the first night, her dance - and her accompanying words - did not quite come off, here they did, in a shocking yet inevitable ecstasy. Anne Schwanewilms's excellent performance - her diction was better this time around - reminds me that I did not mention Chrysothemis's weird, twisted, Frau-ohne-Schatten-ish obsession with marriage and children, played upon by Elektra in extremely nasty yet credible fashion. For this, Schwanewilms and director, Charles Edwards should be credited. Rarely can 'normality' have seemed so abnormal; Chrysothemis's transformation by the final scene thereby seems all the more credible. Most transformed was Sir Mark Elder's conducting. Never having conducted Elektra before, it is now clear that he still had a little way to go on the first night. The Wagnerian inheritance was now clearer than ever. Everything now sounded 'right'; the Recognition Scene no longer dragged and balances appeared to have been reconsidered. (I wonder whether sitting in the amphitheatre rather than in the stalls made a difference too. The sound may be more distanced but the blend may be enhanced.) Indeed, there was a far stronger modernistic bent to the sounds and blends being produced - almost Boulezian at times. (What we lost when Wieland Wagner died prematurely, not least since he and Boulez had plans to perform Salome, Elektra, and Ariadne auf Naxos!) Yet there was also a lightness of touch that no longer seemed underplayed, but part of a long-term strategic, symphonic plan. The oft-quoted line from Strauss as to how one should hear Mendelssohnian fairy-music made as much sense as I can recall. This was a truly marvellous performance! Bel Air Classiques BAC034. Filmed live in high definition at the Festival d'Aix en Provence, July 2007. The star of this Walküre is, without a shadow of doubt, the Berlin Philharmonic Orchestra. I doubt that the music can ever have been played better than it is here. Every section of the orchestra has an opportunity to shine and takes it; the blend is equally impressive. Astonishing immediacy of sound in the storm-Prelude to Act One, for which Bel Air's recording must take credit, enables us to hear and to feel bows flying off 'cello strings and the richness of tone really must be heard to be believed. The same may be said of the celebrated 'cello solo at the beginning of the act: full of hope, promise, potential. In much of this act there is a sense of chamber music, albeit on a grand scale, recalling Karajan’s Wagner. This does not preclude weight of orchestral tone, for instance at Siegmund’s cries of ‘Wälse, Wälse,’ yet such tone was differentiated, never monolithic. Kettledrums punctuate ominously whilst the woodwind are simply delectable. When Wotan tells Brünnhilde of the Nibelung host threatening Valhalla, it is in the orchestra – Wagner’s modern-day Greek chorus – that terror truly registers. The orchestral thunder as Wotan arrives in Act Three is not only splendid on its own terms; it ensures that even a Ride of the Valkyries as spirited as we have just heard does not overshadow what is to come: keen strategy on the part of Sir Simon Rattle. And by far the most moving parts of the final scene were those in which the orchestra truly spoke, unhindered by voices. Rattle’s direction is generally reliable and often more than that. He certainly knows how to secure the sounds he desires from his orchestra and rarely indulges in the micromanagement that characterised some of his earlier work in Berlin. (Conductor and orchestra’s triumphant Tristan-excerpts and Turangalîla-Symphonie at this year’s Proms were indicative of a greater naturalness than had sometimes previously been the case.) If the long line does not sound quite so inevitable, quite so symphonically conceived, as in the work of the greatest Wagner conductors, they have all benefited from greater experience with the Ring. Rattle’s reading remains worlds away from the unstructured choppiness that has so bedevilled Antonio Pappano’s London Ring. My only real reservation lies with the conclusion to the first act. For all the extraordinary beauty of the Berlin Philharmonic’s playing, the direction during this scene sometimes wants greater forward propulsion. At times, it sounds oddly held back: almost defensible when we thereby revel in ravishing woodwind detail, not so otherwise, when it merely sounds arbitrary. 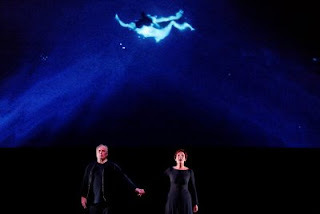 There is no competition here for the all-consuming passion of the Boulez-Chéreau Ring on DVD – having Peter Hofmann and Jeannine Altmeyer enhances visual credibility, of course – nor indeed for many audio recordings. Karajan, with Jon Vickers and Gundula Janowitz, remains a favourite of mine in this respect. Furtwängler naturally remains in a class of his own. The cast is generally of a high, if not overwhelming standard. Mikhail Petrenko and Eva-Maria Westbroek seemed to me strongest. Petrenko’s Hunding arrives looking and sounding every inch the brutal bourgeois: black of tone, yet never unmodulated. This Hunding is no mere caricature, however; he is possessed of a dark, gangsterish attraction. Despite the odd instance of spread at the top of her range earlier on, Westbroek’s Sieglinde develops into a stronger character than we often see and hear. If I remain wedded to the silvery beauty of Gundula Janowitz as the examplar for how this part should sound, that is no reason to dismiss other approaches, especially when conceived so intelligently as here. In the third act, ‘O hehrstes Wunder! Herrlichster Maid’ sounds as expectantly radiant as I can recall, quite outshining Eva Johannson’s Brünnhilde, the weakest link in the cast. Johansson can ‘do’ youthfully impetuous, although camera close-ups do her no favours. More seriously, her diction and intonation leave a great deal to be desired. Much of her third act music is sharp, shrill, and wobbly. Moreover, she comes to sound and look somewhat deranged; it is difficult to ascertain whether this were intended. Robert Gambill’s Siegmund is ardent if occasionally a little strained – ‘Winterstürme’ would be a case in point. It may be unfair but one inevitably compares him with his predecessors and the voice is not always at the level of the best of them. Still, he can act well – which cannot truthfully be said of all of them – and he looks the part of an outlaw. His tenor is often baritonal in heft yet remains unmistakeably a tenor. Sir Willard White is a good Wotan, although once again, when one considers his predecessors, one realises that this is no John Tomlinson, let alone Hans Hotter. One can see the anguish in White’s face and often hear it in his voice. His second act monologue was commanding, if some way short of unforgettable. Rattle, according to a booklet interview, entertains a strange conception of Fricka. It is fair enough to recoil from portraying her as a shrew but ‘the most sympathetic and reasonable figure in the entire opera’? As ‘the orchestra makes ... clear’? What of the rapturous evocation of the Volsungs’ mutual love as Wotan speaks of them? Wagner, in a letter to Theodor Uhlig, refers to Wotan’s ‘struggle with his own inclination and with custom (Fricka)’. The incestuous union of Siegmund and Sieglinde entails no crime against nature; like that of Œdipus and Jocasta, it produces healthy offspring. Such unions merely offend against what Wagner, in Opera and Drama, called the ‘wonted relations’ of familial society, a society whose revenge was without mercy. ‘The old storm, the old trouble,’ is Wotan’s weary remark upon Fricka’s furious approach, indicating not merely a hen-pecked husband but also a clash between the new, developmental side to his ‘inclination’ and ‘custom’, set in stone as hard and unalterable as the Law of the Medes and the Persians. Thankfully, there is little in Lilli Paasikivi’s Fricka that bears witness to Rattle’s idea, other perhaps than the twinge of sympathy one feels as she laments her marital neglect. This is movingly accomplished and all the better for it. What of Stéphane Braunschweig’s production? There is not much to obect to in it, although some aspects may irritate. However, I cannot discern any guiding principle behind it; there is little to suggest that we should have lost out by hearing a concert performance. ‘Little’, but perhaps not nothing, for there are a few nice touches. I liked the opening of the second act, in which we witness Wotan playing a chess-like war-game. He puts the pieces away as Fricka arrives and she tosses them aside when she sees them. There is an interesting likeness to an Ibsen family-drama during this confrontation, followed as it is by having Brünnhilde sit at Wotan’s feet as an obedient daughter in the nursery. The bodysnatching Valkyries impressed too. It is confusing, however, to have Siegmund and Sieglinde appear in the very same location in which the earlier parts of the second act have taken place, a confusion that put me in mind of similar loose ends in Keith Warner’s Royal Opera production. If relative location does not matter, then it is better to give no sense of location at all. How very different are Chéreau and indeed Harry Kupfer in this respect. Moreover, whilst we are treated to a grave Todesverkündigung, especially from the orchestra but also from Gambill’s well-acted response, it is not at all clear why Brünnhilde should kiss Siegmund as she does. This was not a hint in any sense prefigured or followed up. I was also confused by Marion Hewlett’s lighting in the first act. The orange lighting to accompany the glistening of the sword seems wildly excessive, more suggestive of fire. Spring’s entrance thereafter resembles a return of winter moonlight. Having said that, I welcomed the video-projection of fire in the third act, even as I puzzled at the point of the chairs – familiar from Act Two’s Valhalla – on which Brünnhilde is put to sleep. She would hardly awake refreshed. There is, then, certainly no production challenge to Chéreau or Kupfer, though it is not difficult to imagine, or indeed to witness, worse: far better this than the prettified non-drama of Otto Schenk’s would-be exhumation for the Metropolitan Opera. The most pressing reason to acquaint oneself with the present Walküre remains the superlative performance from the orchestra. However, it is unforgivably philistine to have placed a disc-break during the second act. The third outing for Peter Sellars’s Paris production of Tristan und Isolde is billed as its last. This collaboration with video artist Bill Viola has attracted a great deal of attention, so I was more than a little curious to catch it before it expired – Süß in Duften, or otherwise. Most of that attention has centred upon the production rather than upon the music, and understandably so. Therein lies the problem, for it is Viola’s video images that dominate everything else. This, I suppose, is fine if you are not a devotee of Tristan, of Wagner, nor indeed of great musical drama. As one who, by contrast, would place Tristan second only to Bach’s St Matthew Passion in the musico-dramatic pantheon, I found the result to be fatally compromised. Distraction is greatest during the first act – and I do not think that this is simply the consequence of greater habituation later on. ‘Act I,’ in Viola’s words, ‘presents the theme of Purification, the universal act of the individual’s preparation for the symbolic sacrifice and death required for the transformation and rebirth of the self.’ As the reader may have guessed, we are in the world of Orientalism – or, as Viola puts it, ‘the Hindu and Buddhist traditions of Tantra that lie submerged in the Western cultural consciousness’. Sellars made him aware of ‘this connection to Eastern sources,’ but the outcome was hardly a drawing into ‘Wagner’s 19th-century work’. For the first act of Tristan is anything but a process of purification; it is a reawakening and a headlong rush into catastrophe. The death that approaches, as understood at this point – and at least to a certain extent throughout – is not sacrificial but the selfish bidding of what Schopenhauer called the Will. Now one can sometimes get away with contradicting the essence of a work – ‘reading against the grain’ as it has tediously become known – but as this act progresses, the video projections of ceremonial purification seem disconnected rather than daringly contradictory. They have the deleterious consequence of distracting from the drama: both that presented, relatively conventionally, by Sellars in almost ‘semi-staged’ fashion, and, most importantly, by the singers and orchestra. There is more congruence in parts at least of the portentously titled second and third acts, ‘The Awakening of the Body of Light,’ and ‘The Dissolution of the Self’. I was rather taken with the forest imagery of the opening scene of the second act, not least since it put me in mind of a genuine ‘connection’, that with Novalis’s Hymnen an die Nacht. And the fire at the end fits well enough with Isolde’s transfiguration – if a little obviously. Yet there remains too much that was simply superimposition. By all means create a video installation after sources of allegedly ‘Eastern’ inspiration – or perhaps, better, a very occidental fantasy; yet it does not necessarily follow that one should inflict that upon an existing masterwork. A telling phrase in the programme is Viola’s statement that ‘I did not want the images to illustrate or represent the story directly’. As a statement of method this is fair enough up to a point, yet the crucial word there is ‘want’. Should this really be a situation in which one does what one ‘wants’, rather than primarily responding – and one can do this in a myriad of ways – to the work? For in a sense the subject matter of the imagery is the stuff of Californian self-fulfilment. It would be familiar to any observer of ‘New Age’ fads that have reduced the word ‘spirituality’ to a penchant for scented candles. What I suspect many of Viola’s ilk do not appreciate is that the Age of Aquarius is now just as ‘period’ to many of us as the world of Jane Austen. There may be good reason to evoke either; however, evocation itself does not confer instant contemporary validity. There is a self-indulgence here typical of those unwilling to cede the stage to another generation, a generation left with a good number of social, economic, and environmental disasters to address. They must rehearse an old story ‘just one more time’. I mentioned above the St Matthew Passion, a work with which, as Michael Tanner has observed, Tristan has so much in common. For many of us, a production that treated Tristan as the ‘passion of passion’, in Tanner’s formulation, would potentially have more to tell us than a presentation of superannuated clichés concerning self-fulfilment. The greatness of Tristan is manifold but a crucial aspect is its achievement in representing and involving us in both the ultimate celebration and the ultimate indictment of romantic – or indeed Romantic – love. As ever with Wagner and indeed the German tradition from Schütz to Stockhausen, dialectics are everything, which is part of the reason he could never have done more than take an interest in the very different tradition of Buddhism. His projected drama, Der Sieger, would be subsumed into Parsifal, the remaining Buddhistic-Schopenhauerian themes transmuted into heterodox Christian legend. Development rather than stasis: this is the way Wagner’s mind worked, a working far more complex and rewarding than this production of Tristan would allow. Semyon Bychkov conducted a fine account of this treacherous score. Notwithstanding the occasional overly-audible gear-change, Bychkov’s reading was characterised by a true understanding of the Wagnerian melos. The orchestral music flowed and surged as the Schopenhauerian Will of which Wagner believed music to be the representation. Bychkov was aided by excellent and on occasion superlative playing from a much underrated orchestra, enabling an uncovering of detailed riches that one is far from always sure to hear. Shimmering strings, magical woodwind, and resounding brass all played their part; so did Bychkov’s ear for balance and subtle highlighting. There were times when I might have wanted a little more muscle but this should not be exaggerated. Waltraud Meier bade fair to be the performance’s trump card. The odd instance of wild tuning aside, she delivered an eminently musical portrayal. However, the production had the extremely unfortunate consequence of neutralising her abilities as a true stage-animal. I well remember seeing her as Ortrud at Covent Garden. Even during the first act, during which she had almost nothing to sing, so compelling was her stage presence been that I was unable to take my eyes off her. Semi-staged and dominated by video projections, this was not the Tristan for her. Clinton Forbis started unpromisingly, sounding like an old man during the first act. However, in this most impossible of roles, he gained strength and gave a decent account of Tristan’s monologue. Perhaps he had been anxious to conserve his resources. I was disappointed by Franz-Josef Selig’s Marke. This is usually a role in which to excel; although Selig was not bad, he alternated a little too frequently between the emotingly tremulous and the slightly hoarse. I was far more impressed by Alexander Marco-Buhrmester’s subtly ardent Kurwenal, shaping words and music to considerable effect. Ekaterina Gubanova was not always the strongest of Brangänes but at her best, she impressed in a similar fashion to Marco-Buhrmeister. The choral singing, coming from behind rather than on-stage, sounded a little coarse to begin with, when there were worrying lapses in coordination, yet the chorus packed quite a punch by the end of the first act. However, my most unalloyed praise should be given to Bernard Richter and Robert Gleadow in their ‘minor’ roles. I do not think I have ever heard them better taken in the theatre. These artists were distinguished by their verbal acuity and diction, their musical line, and their sweetness of tone. It speaks well of the Opéra National de Paris that effort has been expended on casting these roles; Richter and Gleadow (recently an excellent Masetto at Covent Garden) will clearly go far. Andreas Haefliger is a musician I have long admired, his intelligence in terms of programming and performance an example to many others. This recital, however, part of the London Pianoforte Series, was profoundly disappointing, the only estimable performance being the first, that of Janáček’s piano sonata. As it stands, the sonata is in two movements, the composer having destroyed the third prior to the premiere. (He also attempted to destroy the other two shortly after, but the pages thrown into the Vltava failed to sink.) Like so many ‘unfinished’ works, however, the sonata works perfectly well as it stands; I have never felt the lack of a finale, intriguing though the prospect may be. 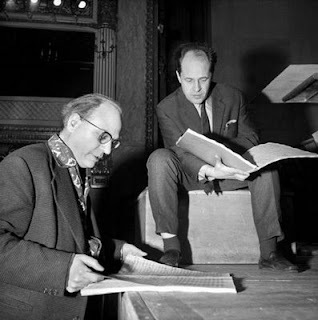 The balance and development Haefliger posited between the Presentiment – Con moto and Death – Adagio seemed beyond reproach, reminiscent of Schubert’s ‘Unfinished’ Symphony. Janáček’s soundworld was captured from the outset, as was the characteristic tension between fluidity and stubbornness of repetition, especially during the first movement. Haefliger evinced an almost Ravelian delight in sonority but the dark Moravian soul could only be Janáček’s. The adagio proceeded as a sung lament for, in the composer’s words, ‘a humble worker František Paclík, stained with blook. He came only to plead for a university, and was struck down by murderers.’ The reality of the demonstrations of 1905 was a good deal more complex than that but for the duration of the sonata, we could all sympathise with Janáček’s Czech nationalism. There was a calm inner strength to this movement, possessed of the same inner obstinacy as the first, which grew in strength until reaching a truly Romantic climax. Haefliger’s tone was full but never forced, subsiding as if to return us to everyday life, leaving behind a memorial that triumphantly vindicated words from the composer quoted in the programme: ‘A fellow was holding forth to me about how only the notes themselves meant anything in music. And I say they mean nothing at all unless they are steeped in life, blood, and nature, Otherwise they are like playthings, quite worthless.’ Take that, Stravinsky. After the Janáček, Haefliger’s Beethoven proved quite a shock. The first movement of the Waldstein sonata was taken ruinously fast, leading to more than one notable slip in the semiquaver runs. I doubt that such a tempo could ever have worked, but the pianist should certainly then have slowed considerably for the second group, which utterly failed to melt hearts. It actually was slower on repetition of the exposition, but this sounded merely arbitrary. The development section was impassioned but also generalised – and still too fast. The harmonic surprises that mark its conclusion and the dawn of the recapitulation were masterfully presented, opening up a whole new world. These were breathtaking but it was more than a little too late. The coda sounded more like a series of finger exercises than middle-period Beethoven. There was a nicely mysterious opening to the Introduzione, whose rests were really made to tell. Sung, sustained: there was a true sense of the ineffable. Moreover, the rondo emerged from these shadows with profound inevitability. Thereafter, however, much was heavy-handed and plodding. I am usually the last person to complain of excessive Romanticism, but there is something awry when this music sounds more like a Liszt transcription. (I was put in mind of the Schubert-Liszt Erlkönig.) The prestissimo coda sounded utterly unprepared, merely tacked on. It was headlong but not exultant. The F sharp major sonata, which followed after the interval, was better but far from startling. The extraordinary four-bar introduction sounded soft-focussed rather than poetic. Whilst the rest of the movement continued amiably enough, it lacked distinctiveness. And the Allegro vivace lacked the economical humour that points forward to the Eighth Symphony. It was fluently dispatched but little more. We do not hear Brahms’s piano sonatas so very often. I suspect that anyone coming to the F sharp minor sonata ‘cold’ would, from this performance, have struggled to ascertain the identity of the composer. This may be early Brahms but I have never heard it sound so utterly unlike him. Haefliger’s technique was certainly up to the notes. There was some splendid virtuosity here – at least on its own terms, especially in the second movement variations. However, there was a curiously – I am tempted even to say bizarrely – rhapsodic sense to all four movements and to the whole. I do not mean that in a sense akin to Brahms’s own later rhapsodies, which are anything but sprawling or undirected. Much of this sounded like minor Liszt. There was a series of fleeting impressions, sometimes impressive as episodes, but with little sense of connection to an overarching structure. And if we know anything of Brahms, it is his iron-clad command of formal structure. Another, at least in terms of the piano music, would be his utterly characteristic sonority. Again, Haefliger suggested Liszt or perhaps Chopin, but rarely Brahms; dazzling brightness replaced mahogany. Most perplexing.